This year's 19 March marked a key date in the history of the very young state of Kazakhstan. With a talk of twenty minutes broadcast on unified networks, Nursultan Äbishuly "Elbasy" Nazarbayev, first leader and "founding father" of the Republic of Kazakhstan, resigned from his post as president "for life", opening the doors of a new era in the history of this vast Central Asian country. In reality Nazarbayev's resignation is not equivalent to his retirement "tout court" from the political scenes, as he himself took care to explain to "friends" and "enemies" during his television intervention. However, these dutiful clarifications do not diminish the importance of even merely formal events: for the first time, a president of a former Soviet Central Asian country has decided to abandon on its own initiative the leadership position that for decades had treated like a personal preserve. The historical-political parable of Nazarbayev begins when Kazakhstan was still one of the republics of the largest Soviet empire. Entering the ranks of the communist party in the 1962, Nazarbayev began a long and fruitful career that led him to become the "dolphin" of Dinmukhamed Akhmetuly "Dimash" Kunaev then General Secretary of the Communist Party in Kazakhstan. 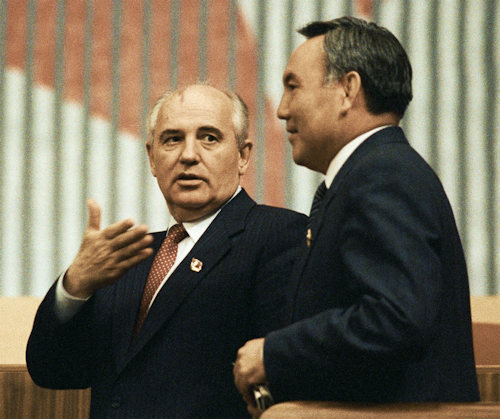 The moment of truth for Nazarbayev came in the 1986 when, in a move rash to say the least, the then leader of the Soviet Union, Mikhail Sergeyevich Gorbachev, decided to replace Kunaev, accused of corruption and too tied to the old nomenclature of the Brezhnev years , with Gennady Kolbin. Honest and capable technocrat, Kolbin paid dearly for being Russian and never having lived or worked in Kazakhstan until then. Upon his arrival in Central Asia he was "welcomed" by massive protest demonstrations during which over 60.000 Kazakhs poured into the central "Brezhnev Square" (now "Piazza della Repubblica") in Alma-Ata (now Almaty). The protests lasted three days, between the 16 and the 19 of December (precisely for this reason they are known in Kazakhstan as "Jeltoqsan", December in the Kazakh language), and were repressed in blood, at the cost of at least 200 dead, by the special troops of the MVD (Ministry of the Interior) and of the KGB. Although public order had been restored, Kolbin's leadership could be said to have been compromised. 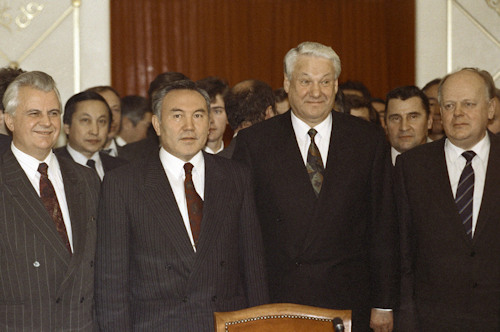 With his mentor now out of the game and the "proconsul" sent by Moscow equally discredited in the eyes of the Kazakhs, 22 June 1989 Nazarbayev became the new General Secretary of the Communist Party of the Soviet Union in the Socialist Soviet Republic of Kazakhstan, his "Epic" had formally begun. The years that followed were filled with momentous events. In November of the 1989 the Berlin Wall was demolished and the following year Germany was formally reunified. All the communist regimes of Eastern Europe subsequently fell as pins and in the 1991 the Warsaw Pact and then the Soviet Union broke up first. The end of the unified empire left Kazakhstan and the other Central Asian republics in a very delicate situation. Tajikistan sank into a terrible civil war that devastated both its population and its economic and cultural heritage while in Turkmenistan, Kyrgyzstan, Uzbekistan and Kazakhstan, local elites stiffened around the power structures inherited from the Soviet period, reinventing themselves in parallel as "forces nationalist and patriotic "undertaking a long and difficult process of" nation building "in countries that had never been independent until then. A shrewd and well-traveled politician, Nazarbayev managed to establish himself in this particular historical situation. Aware of being the head of a multi-national country (according to official data, Kazakhstan is inhabited by 131 different ethnic groups) with, among others, even a large Russian community, Nazarbayev has promoted the Kazakh element with gradualism, looking at the same time to protect all the heterogeneous communities of the country and keeping Russian as the official language alongside the Kazakh. 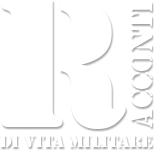 It has also maintained close economic and geostrategic links with Moscow by actively participating in the establishment and strengthening of the various supranational organizations created in the ex-Soviet space such as the Commonwealth of Independent States (CIS) and the Organization of the Collective Security Treaty (CSTO) ). However, the most important contribution by Nazarbayev was in the creation of the Eurasian Union (EAEU), whose basic functions and structures he had already foreseen, with uncommon foresight, already in the first half of the nineties. On the same occasion he then stated that "as the European Community had found its fundamental pillar in sharing the most important raw materials for industrial use (coal and steel) so the Eurasian Union would find this pillar in the gas"! Gas which, together with oil and other natural resources, has laid the foundations for the economic revival of Kazakhstan, Russia and other ex-Soviet republics since the 2000s. In the long run, what had seemed a lifeline has also turned out to be a dangerous double-edged sword that risks bringing more harm than good. Despite the fact that Kazakhstan has actively sought to diversify its economy, it still remains substantially hostage to the "curse of the income state". Going through the various products that constitute the backbone of the export of the giant Asian city, we immediately notice how the lion's share is still today unquestionably made up of oil, natural gas and derived products. In reality, even the production of uranium and gold has soared in recent years and the country has also tried to enhance the Soviet legacy in the agricultural and zootechnical fields with investments aimed at strengthening the same sectors. It is clear, however, that the so-called "intrinsic value" of Kazakhstan's exports is very limited because they are essentially raw materials and not high-tech products sold on international markets. On the economic side this exposes the country to fluctuations in the prices of raw materials (especially hydrocarbons) with serious repercussions on the nation's general economy. The political-social question is even more thorny; in fact, the possibility for the Kazakh state to "provide for itself" with regard to budget stability (thanks to revenue from the sale of hydrocarbons) means that the government is not dependent on "democratic constraints" when it comes to preparing spending decisions. A consequence of all this is that the pharaonic projects approved by the political leadership in the recent past have at times had an at least doubtful impact (when not entirely useless) on the quality of life of citizens. 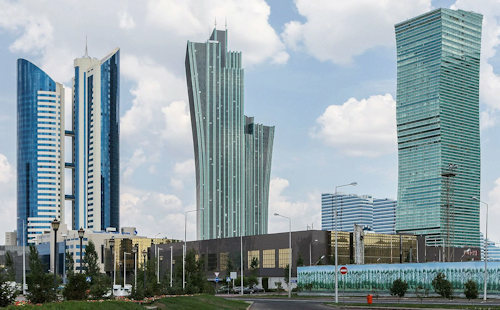 It is of little use, in fact, that the capital of Kazakhstan (once "Astana" now after the recent events renamed "Nur-Sultan") has been called "The Mecca of all architects" because of its architectural virtuosity if the health system is regularly ranked as one of the worst in the world. It remains to ask a simple and problematic question: what road will Kazakhstan now take? Apparently the epochal change we witnessed a short time ago took place under the banner of "continuity". As already mentioned above, Nazarbayev did not completely withdraw from political life, remaining at the head of both the Nur-Otan ("La Luce della Patria") "ruling party" and the National Security Council, a position which, according to the constitution, he can occupy for life. 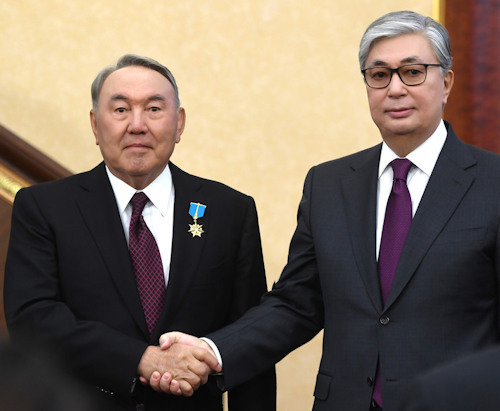 Furthermore, his successor as president of the country is Kassym-Jomart Kemelevich Tokayev, who already has considerable experience in the exercise of power, having previously held the office of prime minister and councilor of the president. It is therefore not surprising that both the Kazakh and Russian speaking blogsphere is full of jokes about the fact that "a Nazarbayev" succeeded "Nazarbayev". Seriously, to an external observer as the author of the analysis in question, the unique "idea" of Nazarbayev is very reminiscent of both the "tandem" experienced by Putin and Medvedev in the period between the 2008 and the 2012 and the office of "Co-emperors" characteristic of the Roman Empire and the Eastern Roman Empire during the Late Antiquity and the Middle Ages, when the old "decadent" emperor associated his successor to the throne to test their abilities and get him used to managing power . We will see if this will be the last political masterpiece that Nazarbayev will be able to extract from his magician's "cylinder".